Hi folks, it's Monday again and I hope you had a great rest over the weekend. Recently you might have realized that I am back into bread making from those Instagram posts which I have shared while testing out my new KitchenAid KSM150. And after trying a few bread recipes, I still think the best result achieved is from the “five thousand dollars starter dough” recipe which I shared last week. So in this post, I will be using the same 5K starter dough recipe with a twist to turn it into our current favourite bread which is; Matcha Azuki Bun with Salted Cherry Blossom. March is coming to the end and this month my baking project with Bake King features some quick and easy Asian tea snacks such as Pumpkin Red Bean Balls and Gula Melaka Steamed Cake with Sweet Potato. Pumpkin Red Bean Balls has a very soft texture when bite and it pairs well with the sweet red bean paste which makes it sort of like the Mochi (Japanese rice cake made of mochigome). 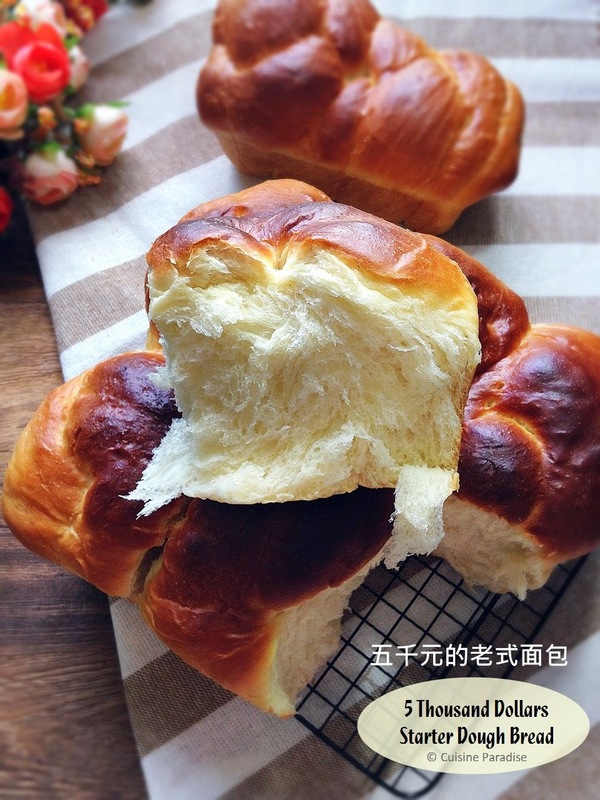 Apart from the Baked Egg Cake (烤鸡蛋糕) which I did recent, I also come across another "viral" recipe known as "5 Thousand Dollars Starter Dough" from my friend; Amy's (Motheringcorner) Facebook timeline. And through their discussions, it seems like many of the home bakers are trying out this recipes too. According to their comments this is seems to be another popular "dough" recipe when compare to the Tang Zhong (water roux - 烫种法) method a few years back. 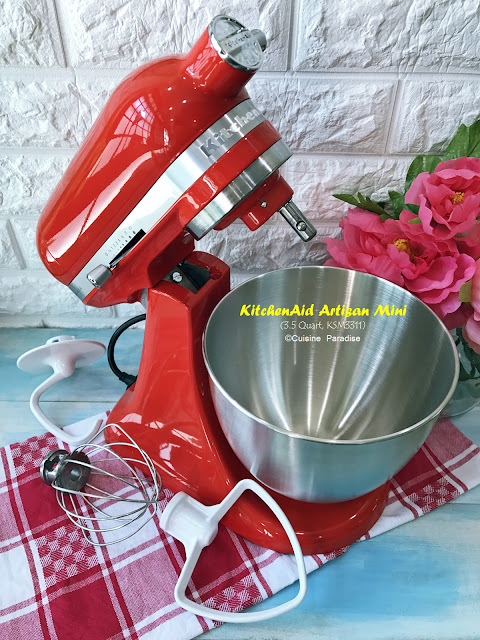 So without hesitate I decide to give this recipe a try and at the same time test out my new KitchenAid stand mixer. It's Monday again and I hope you people have a great week without any blues. For this last Monday of March we shall continue on our "Weekly Meal Planner" column with FIVE of our family favourite western dishes such as braised wine chicken, chicken skewers, mushroom pie and homemade mushroom soup. These dishes are easy to prepare and you could even get ready the necessary ingredient the night before so that your meal would be ready on the dining table in less than an hour. Out of the 5 featured recipes in this post; my favourite are Braised Red Wine Chicken and Chicken Mushroom Pot Pie because both are comfort food which could be easily whipped up and they taste awesome especially during cold weather or after a hectic day at work. I always love things to be simple when it comes to food preparation for the family. So whenever the recipe calls for "one pot dish" or "one pot cake" I would be most delighted to try it out because I get to wash lesser utensils as well as time spent in the kitchen. So here I have a quick recipe which only requires stir and mix after which you could sit back and relax while waiting for the cake to be out from the oven. This quick Banana Coconut Bread has a lovely moist texture plus coconut scent from coconut flour used and I also love the extract dose of walnuts which gives the bread an extra crunch and nutty flavour. Currently this Baked Egg Cake (烤鸡蛋糕) is one of the popular cakes amount online home bakers from one of the Facebook group known as "I Love Baking And Cooking - 我愛烘培，我愛做飯". And thanks to all the lovely members I have learn quite a few tips from those who always inspire each other with new ideas either in baking or cooking. After planning and cooking for weeks, months and even years it sometimes make SAHM (Stay At Home Mum) feels that all these routines seems to be a "hectic chore" which are never ending. Often we just wanted to create some decent and healthy meals that are less time consuming and "hopefully" they suits everyone's preference in the family too. So after much thoughts and suggestions from readers, I decided to start a new column on this blog known as "Weekly Meal Planner" from 01st March 2014 onwards featuring our weekday dinner menus hopefully on Mondays base on a bi-weekly timeline. 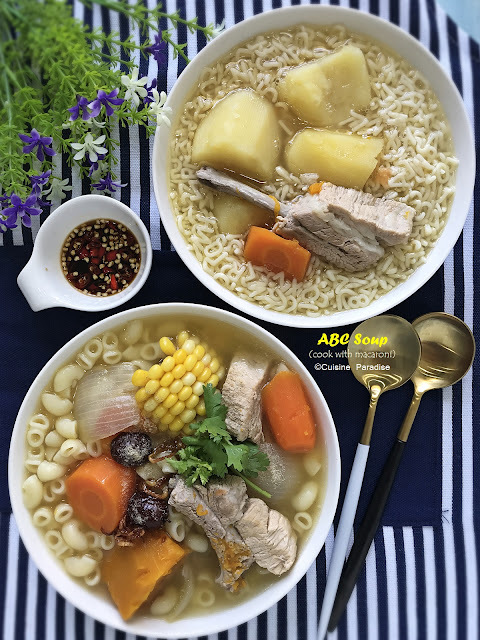 The featured dishes might vary from Asian, Western or even just 5 recipes on soup or dessert for the week which I hope it would help to inject some new ideas into your weekly menu planning. Know about this remedy from one of my boy's classmate mum who saw it from 早安您好! (Good Morning Singapore!) TV show. So when I happen to see this pre-packed 5 Flower Tea (五花茶) from the Chinese Medical Hall (中药店) I decided to get a pack to try it out. Last few weeks I was back into chasing Korean Drama which introduced by my bestie on a latest fantasy romance known as My Love From Another Stars (來自星星的你) by Kim Soo-hyun (金秀賢) and Jun Ji-hyun (全智賢). And like most other Korean dramas there are always one/two scenes featuring their instant Korean Ramen which makes me salivate while watching it. But now with this "instant noodles box" from SeoulFoodProject, I can easily enjoy pipping hot Korean Ramen anytime of the day. Furthermore this themed box also comes with a "golden pot" which used for cooking the ramen as well a set of Korean cutlery. Time flies and now that we are already in the 1st week of March where most of the primary school kids are having their CA1 (Continual Assessment Test) I am sure most of the parents will be busy with the revisions. In this post I will be sharing how to prepare individual serving portion of Double-boiled Winter Melon Soup as well as one of our favourite dish; Pan-fried Mackerel (Batang / 马鲛鱼). I am sure you have seen these ceramic soup pot (炖盅) while ordering double-boiled soup from restaurants or food center. Above are some of the collections that I have for different type of soup ranging from savoury to dessert. For your information, you can either used individual soup pot for a bigger pot for sharing purpose, meaning it all depends on what type of soup and the serving methods.